Latest IOB Recruitment Notification 2018 – Indian Overseas Bank (IOB) invites applications for the positions of Faculty and Advisor (Risk) on contract basis. IOB announced 05 vacancies, 04 vacancies for Faculty (Credit Management, Foreign Exchange, Risk Management and Banking Operations) and 01 vacancy for Advisor (Risk). Candidates who have eligibility as per IOB Notification may apply online at IOB Careers. The Last date to submit the online application is 15.11.2018. Candidates can register online from October 30, 2018. Before apply for the job vacancy, candidates should ensure that they fulfil the eligibility criteria given in the advertisement. Also be aware of job profile, job requirement, compensation, selection process and application process from the advertisement. IOB will disable the online application link after the last date. So, submit the online application form on or before the last date. For Faculty, upper age limit is 65 years. Advisor (Risk) – Any Post Graduate Degree (MBA/ PGDBF/ CA/ ICFAI/ CFA). Look into IOB advertisement for more details of qualification. Logon to IOB website and then locate Careers page. Find advertisement and apply online links for Faculty & Advisor (Risk). For more details regarding IOB Recruitment Notification 2018 logon to www.iob.in. The information given above is based on the Indian Overseas Bank official advertisement. Find upcoming IOB Recruitment notifications @ Recruitment Reader. 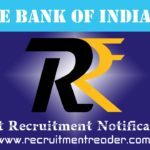 Indian Overseas Bank (IOB) invites applications for the positions of Manager and Senior Manager in Information Security and Information System Audit. IOB announced 20 vacancies for these specialist officer vacancies. Candidates who have eligibility may apply online for SO vacancy at IOB Careers. The Last date to submit the online application has been extended to 10.08.2018. For Manager, age limit is 25 to 35 years. For Sr. Manger, age limit is 25 to 40 years. B.E/ B.Tech/ Master Degree in relevant discipline. Preference will be given to CISA/ CISSP/ CISM/ DISA/ CCFP/ CHFS/ CEH certificates. For SC/ ST/ PWD candidates, ₹100/- (Application Fee + Intimation Charges). For other candidates, ₹500/- (Intimation Charges Only). Fee can be paid through online modes like Debit Cards, Credit Cards and Internet Banking. Find advertisement and apply online links for recruitment of Information Security & IS Audit Officers. For more details regarding IOB Recruitment Notification 2018 logon to www.iob.in. The information given above is based on the Indian Overseas Bank official advertisement. Indian Overseas Bank (IOB) invites applications for the position of Financial Literacy Counsellor (FLC). IOB announced one vacancy for the post at Vettikavala in Kerala. Candidates who have eligibility as per IOB Notification may forward their applications through proper channel in prescribed format. The Application format can be downloaded from Indian Overseas Bank website. The Last date to submit the application form at IOB, Thiruvananthapuram is 10.10.2018. Age should be below 65 years with sound health. Graduate/ Post Graduate Degree from UGC recognized university. Download application format from Indian Overseas Bank website. Send the completely filled application form with required documents to The Chief Regional Manager, lndian Overseas Bank, Regional Office, MG Road, Trivandrum – 695001. Application envelope should have superscription as “Application for the post of FLCC for Vettikavala on contract basis”. Find notification for FLC on contract basis at Vettikavala Block.